About four months before the alleged release date of the Samsung Galaxy Note 9, a refreshed set of details reveals the following: 3,850 mAh battery with 18 W fast charging, under-the-display fingerprint scanner, new S-Pen, Bixby 2.0, upgraded camera, and a new "Teddy Brown" color option. Although the upcoming Samsung Galaxy Note 9 flagship has already started to show up in various benchmarks, we obviously cannot be certain if any of these devices deliver the same performance as the market-ready product. However, even if we are talking about early engineering samples, the Galaxy Note 9 is on its way and we will surely hear more about it in the coming weeks. Wccftech has recently quoted a new Galaxy Note 9-related leak coming from well-known tipster Ice Universe. 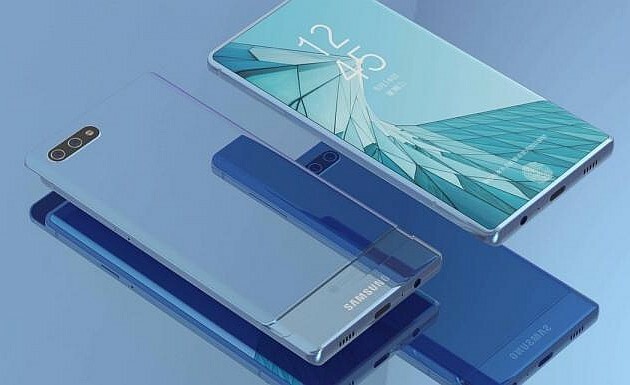 According to him, the Galaxy Note 9 is expected to bring the following set of new features and noticeable upgrades: a new S-Pen, Bixby 2.0 and a brand new interface known as "Crown UX" for now, a fingerprint reader (finally) placed inside the display, a set of unspecified camera upgrades, a whole-new color option (simply dubbed "Teddy Bear"), as well as a 3,850 mAh battery with 18 W fast charging. Although both Apple and Samsung were expected to bring in-screen fingerprint scanning to their flagship devices until now, Chinese brand VIVO recently became the first one to do so. Until we get to see the first leaked images showing the Galaxy Note 9 in the wild, we will probably see at least a few more benchmark results. Obviously, everything needs to be taken with a grain of salt for now, so feel free to share your Galaxy Note 9-related dreams with us in the comments section below.